The design of the Nissan Maxima remains unchanged for 2014, but Nissan has made formerly optional equipment standard on lower trims. For example, drivers who opt for the 2014 Nissan Maxima SV now receive a standard rearview camera, USB input, seven-inch touchscreen display, and satellite radio. The 2014 Maxima is Nissan’s flagship sedan, and aims to combine sports car styling with sedan practicality. The Maxima’s bold and athletic stance gets a boost for 2014 with standard 18-inch alloy wheels. There is only one engine that powers all 2014 Nissan Maximas, and it’s a good one. The 3.5-liter V6 under the hood of the 2014 Maxima generates 290 horsepower and 261 lb-ft of torque, which propels the full-size sedan from 0-60 in just 6.2 seconds. 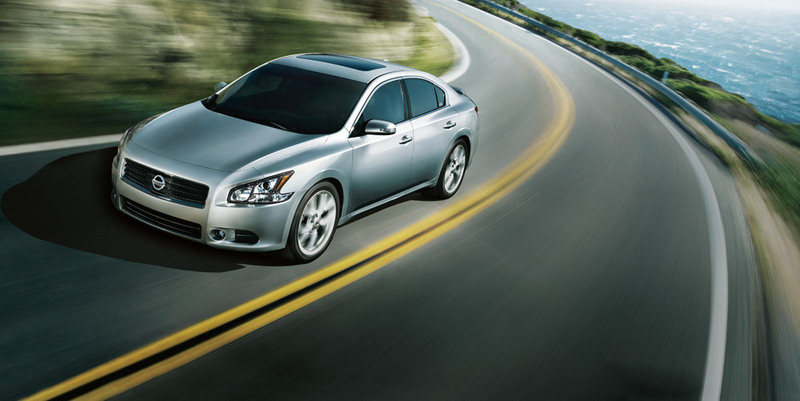 The 2014 Nissan Maxima’s versatile V6 returns a combined fuel economy rating of 22 mpg with 19 mpg city and 26 mpg highway. According to Edmunds.com, the 2014 Nissan “Maxima’s cabin comfort rivals that of some Infiniti and Acura models.” Those two nameplates are considered luxury makes, but the 2014 Nissan Maxima’s interior is more than capable of competing on their level thanks to a slew of innovative features, including an intuitive iPod interface, a 7-inch touchscreen display, and satellite radio. As a full-size sedan, the 2014 Nissan Maxima is designed for families, and it delivers the safety features necessary to protect that precious cargo, including a rearview camera, stability and traction control, a suite of airbags, and antilock disc brakes.